Q: We have been married for four years, but I think we made a mistake. My wife is really not committed to having a close relationship with me. All she seems to care about is what she wants to do. She doesn’t consider my needs at all. I’m beginning to think I should get out before we have children. A: You say that you do not think your wife is devoted to your relationship but you do not indicate why you have come to believe this. Have you talked with her about the kind of behavior you want from each other to demonstrate commitment? It is important to be on the same page in terms of what you each consider to be the responsibilities of marriage. Some couples have very different ideas of what they expect in a marriage partner. Your question does not mention the word “love.” Do you love your wife? Do you think she loves you? If you think it’s possible that you can work out your differences, you need to begin talking and talking and talking together. You might also consider the assistance of an objective outside party to counsel you both. When you each understand more about one another’s needs and capabilities, it will become clearer what kinds of compromises you must make in order to have a life together through the years. Then it will be up to both of you to decide if you can — and if you want to — give up your current ideal and redefine what it means to be married. There could be many reasons for your wife’s actions. Perhaps she is faced with a particularly difficult period in her career and needs to place her attention there, expecting that you will understand and be patient. Or her expectations of your marital partnership are such that she considers her behavior to be appropriate. She may have an underlying emotionally driven reason — for instance, anger toward you for some past action or left over baggage from her family of origin. It could be that she is immature and not ready for a mutually committed and close relationship. The two of you can explore these and other possible motivations in order to learn more about the status of your relationship. Think back about what originally drew you to her — was it her independence and the joy that spilled over from her engagement in life? Do you now see these same qualities as negative rather than positive? Understanding your own changes over time may help you come to terms with your disappointment in her actions, or perspective may cause you to decide that while you have grown, she has not. This can also be a good time to look at your own role in the sad state of your marriage. Have you been overly possessive or demanding? Distant and rejecting? Perhaps your own behavior has led to a reaction by your wife. As you consider the part you each have played in shaping your relationship, it will give you a fuller understanding of your marriage today. 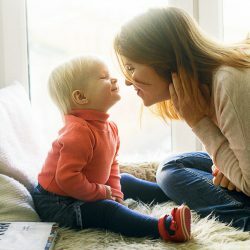 If you decide to dissolve your partnership rather than to try to make it work, you are right that it is better to do so before children are involved than after. Of course, you will both go through considerable pain involved with the divorce but children would certainly further complicate an already difficult situation.